Some of the first attempts were in the Middle East, where people built breeze-capturing towers to channel cool air directly into their homes. The ancient Romans tried building houses with double walls so they could run water between them to cool the inside. These were solutions for the very wealthy or the very clever, however. It was the advent of air conditioning that truly brought climate control to the masses — eventually. Modern air conditioning began in 1850, with a doctor in Apalachicola, Fla., named John Gorrie. He noticed that his patients’ symptoms would worsen in the heat of the summer. So, he set out to come up with a way to cool them. At first, he did this by putting ice in a bucket and suspending it over the patient, so the cool air would trickle down on them. The problem was that ice was very expensive in those days. 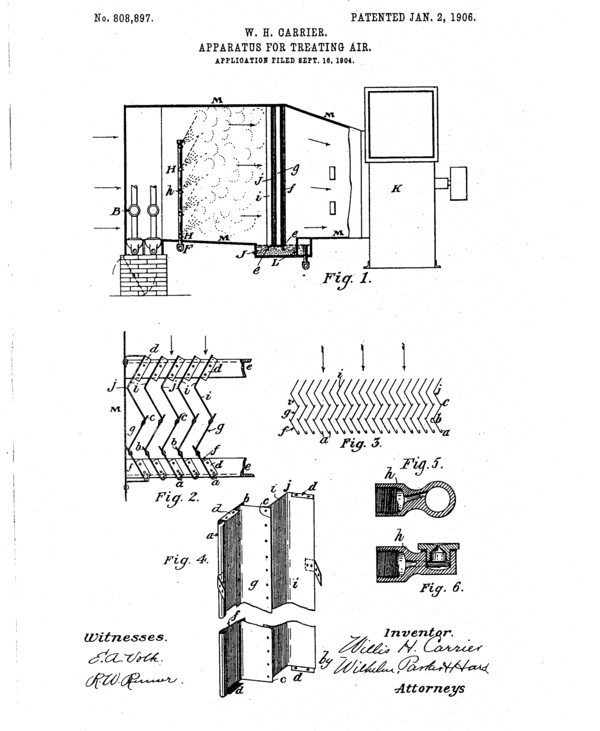 Patented in 1851, his machine used compressed air to freeze water, freezing water encased in a 10-inch by 10-inch by 4-inch mold into a block every 24 hours, says Hodson. “Unfortunately, there wasn’t a whole lot of support for this artificial ice – because this wasn’t ‘God’s Ice,’” Hodson says. 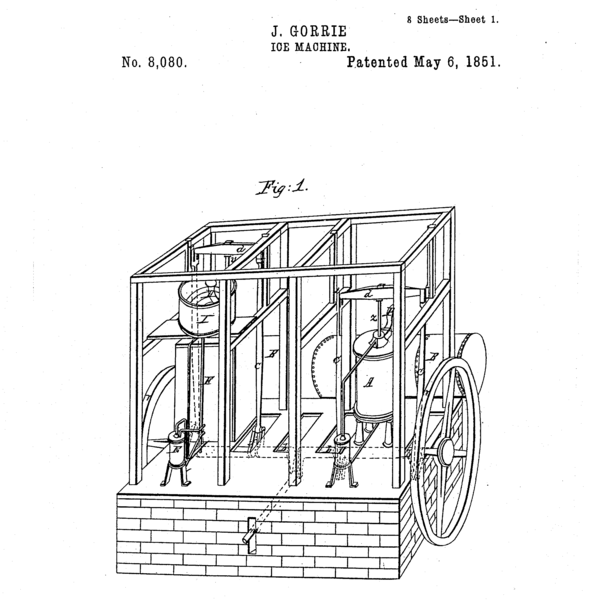 Gorrie was ridiculed as a crackpot for daring to make his own ice. He died about five years later ­– penniless and alone. Others would build off of Gorrie’s work, though. Some advancements were made over the following decades. In fact, some buildings began to be cooled by giant blocks of ice. In 1889, one of those systems was installed in Carnegie Hall in New York. But it was in 1902 that the next big leap was made. Around that time, a young, Buffalo, New York-based engineer named Willis Carrier was hired to cool and dehumidify a printing plant in Brooklyn. The plant did color printing and needed to run paper through a printer multiple times to mix colors. The problem was, the paper would shrink and expand, depending on the humidity, and ruin the color prints. So, building off the previous work done by Gorrie and others, Carrier came up with a system that would cool and dehumidify the plant. He finished it on July 17, 1902. At first, it was mainly used in factories where the products were sensitive to heat and humidity – printing, chocolate, pasta, chewing gum; those sorts of things. Suddenly, industries that had to shut down in the summer months could go into year-round production. There was also the expense. A machine to cool a single room would have cost thousands of dollars, putting far out of reach for most people. But by the 1920s, air conditioning made its way into more public spaces. A movie theater in Montgomery, Alabama was among the first to get a central air conditioning system installed. That paved the way for theaters across the country to adopt the technology. The Rice Hotel was the first building in the Houston area to get air conditioning in 1922. 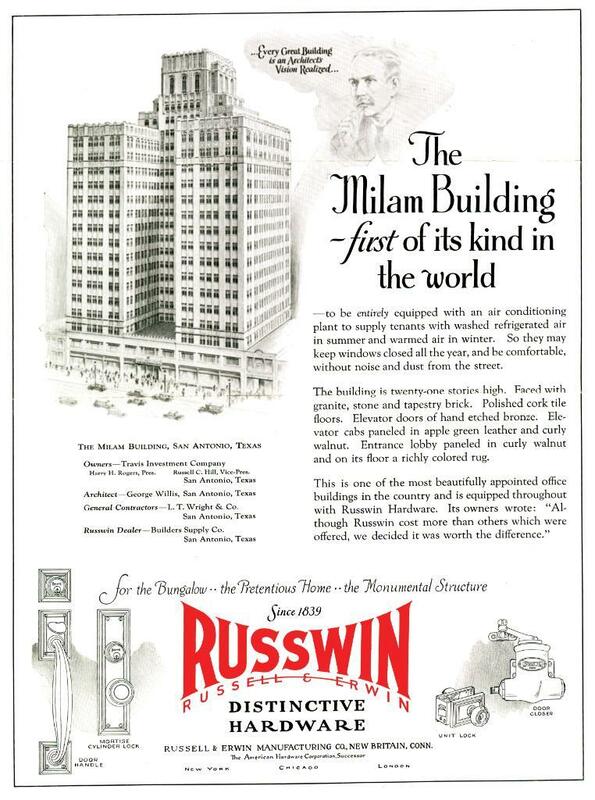 The Milam Building in San Antonio was the first air-conditioned high-rise office building in the country when it opened in 1928. After World War II, air conditioners became smaller and cheaper, the now-familiar, window-sized units started appearing on department store shelves. “And by the 50s, which was definitely a decade of conspicuous consumption, air conditioners were off and running,” says Basile. But it wasn’t just the temperature that changed. In Texas, for example, the population in 1940 was about 6.5 million. Since then, it’s grown by a factor of five, while the U.S population has less than doubled in that time. Florida’s population is ten times higher than it was in 1940. Arizona’s grew by a factor of fourteen. 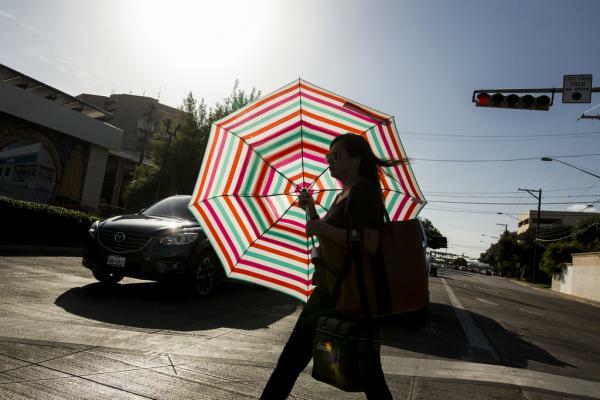 Suddenly, places that would have been unlivable for people not accustomed to the sweltering summers of the South and Southwest became livable. It even changed the political makeup of the U.S.
Full adoption of air conditioning took decades, but by the 1980s, it was commonplace. A 2009 survey by the U.S. Department of Energy found 84% of homes in the U.S. had air conditioning. Of course, there have been huge downsides to air conditioning – namely the megawatts of power required to keep things cool. Cooling accounted for 9% of all energy consumption in residential and commercial buildings in the U.S. in 2014, according to the Department of Energy. Then there are the coolants themselves. Chlorofluorocarbons (CFCs), the active ingredients in coolants that were used for decades, were found to be boring a big hole in the Earth’s ozone layer. Ultimately, coolants using CFCs were phased out and replaced by ones using hydrofluorocarbons (HFCs), which have also been linked to global climate change. More than 170 nations agreed to phase out HFCs in 2016. The basic technology in air conditioning is relatively unchanged since it was invented 116 years ago. While there are new technologies on the way, it seems, no huge breakthroughs are on the immediate horizon. “None of these technologies is…competitive to our standard, refrigerant-based cooling systems,” says Atila Novoselac, a mechanical engineering professor at UT-Austin. So, if it takes as long as the original technology did to become widespread (and affordable), it could be a while. KUT's Avery Miles contributed to this story.